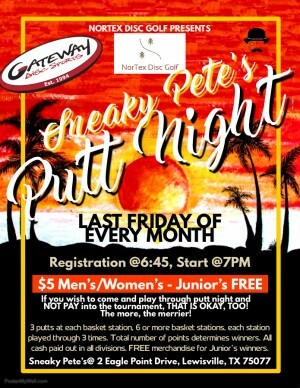 Join us for our last-Friday-of-the-month putt-night at Sneaky Pete’s!!! We will have 6-9 basket stations with 3 throws at each station. $5 to play for women and men, kids play FREE for merch! 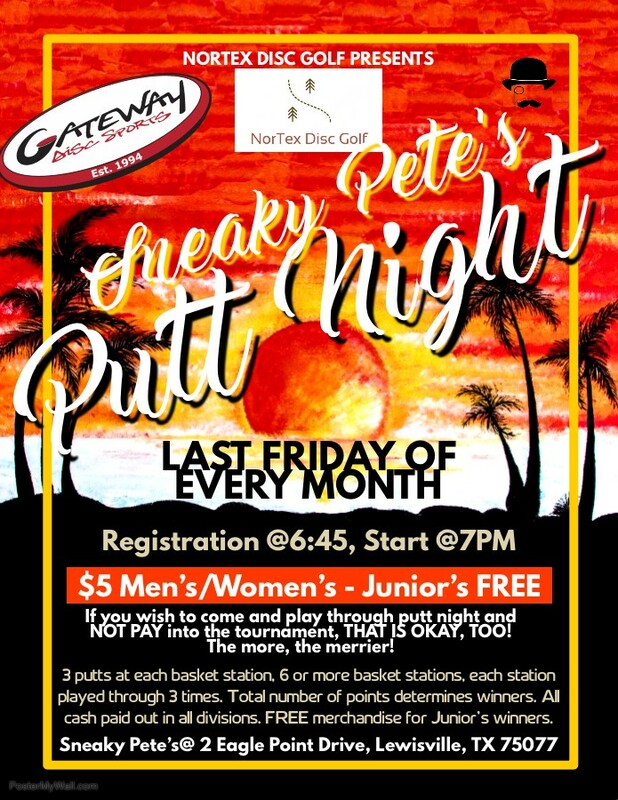 If you would like to just come and play through the putt course without paying-in, you are more than welcome to come and join for free, Tim will buy you nachos, maybe! Food, fun, and putting discs!